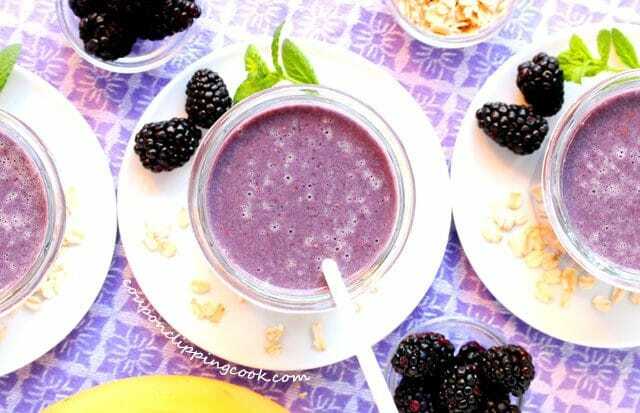 This ice cold blackberry smoothie made with oatmeal and malted milk powder is like no other. 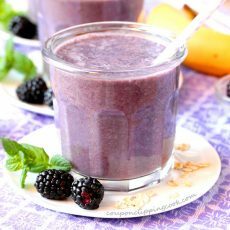 This smoothie has two unique ingredients; one that adds to the richness, and the other that adds a delicious refreshing flavor to the mix. 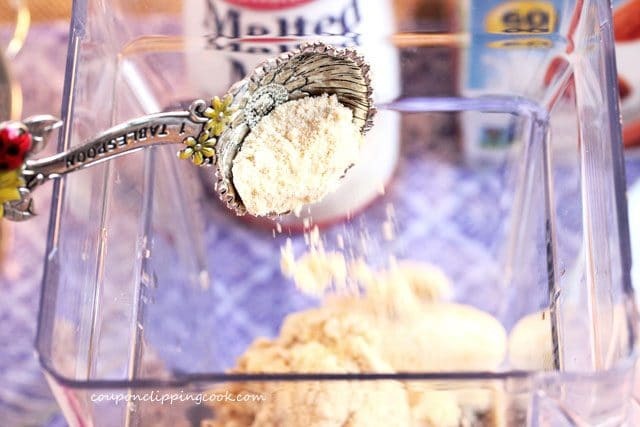 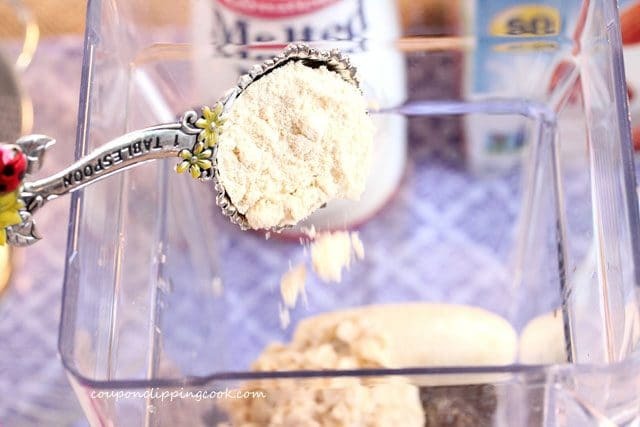 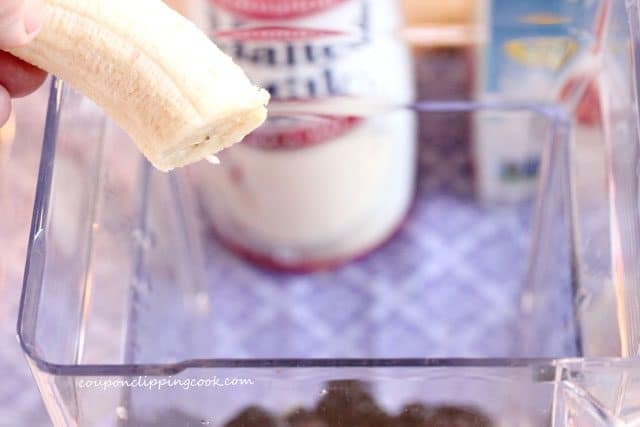 One of these ingredients is malted milk powder which gives the smoothie a slightly sweet, creamy richness. 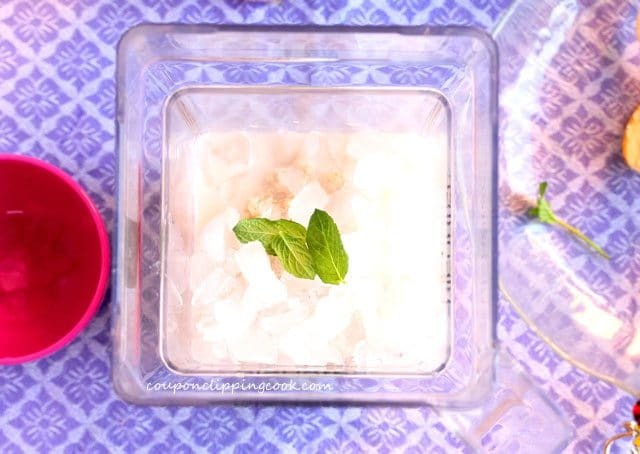 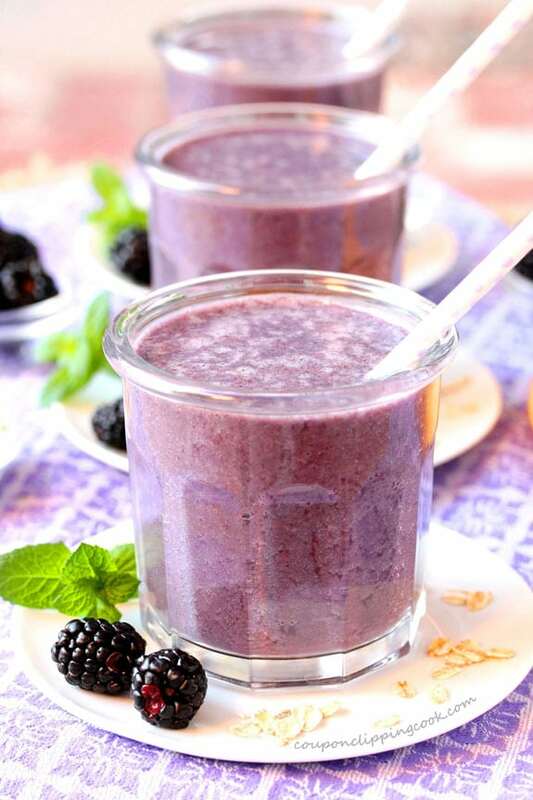 And the other unique ingredient is fresh mint which not only tastes wonderful with the berries, but also enhances the overall flavor of the smoothie. 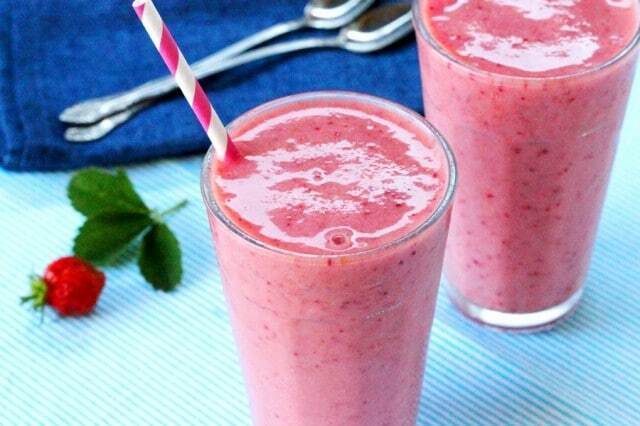 Smoothies are the best when served ice cold. 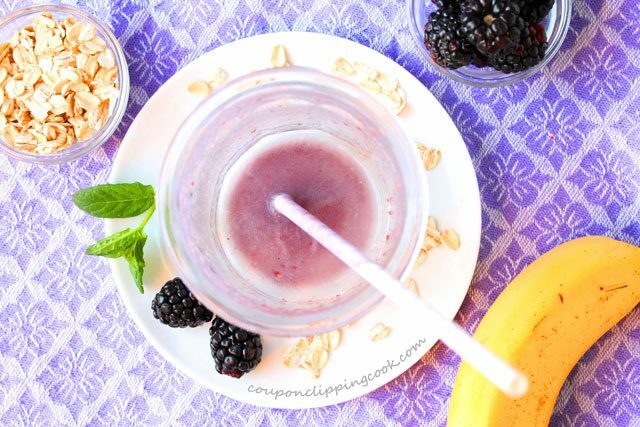 When I’m taking pictures of smoothies to post on CCC, I try to hurry up so I can drink them because they look so darn good. 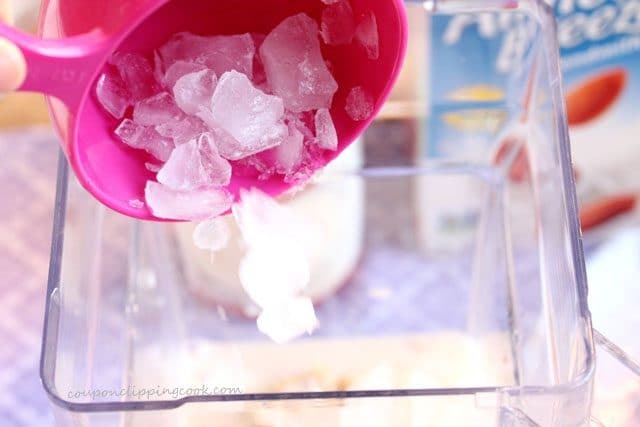 But by the time I’m done with the pictures they’re lukewarm at best and definitely don’t taste as good as when they’re ice cold. 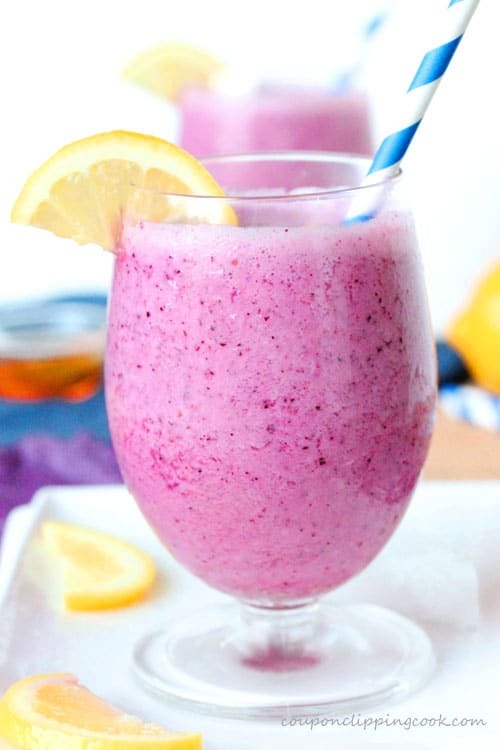 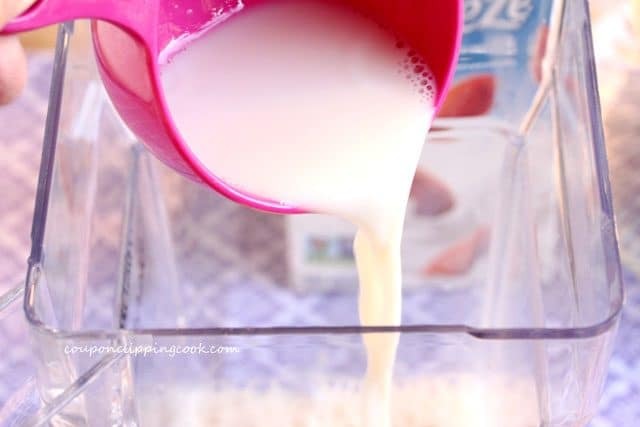 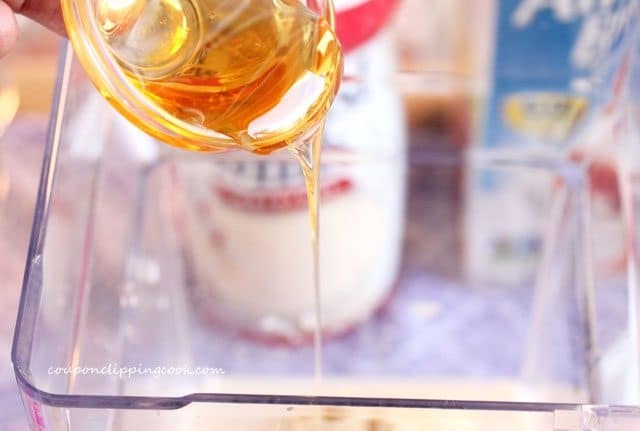 So if it’s a hot day when making this delicious refreshing smoothie, add a bit more ice so that it stays nice and cold until the very last drop. 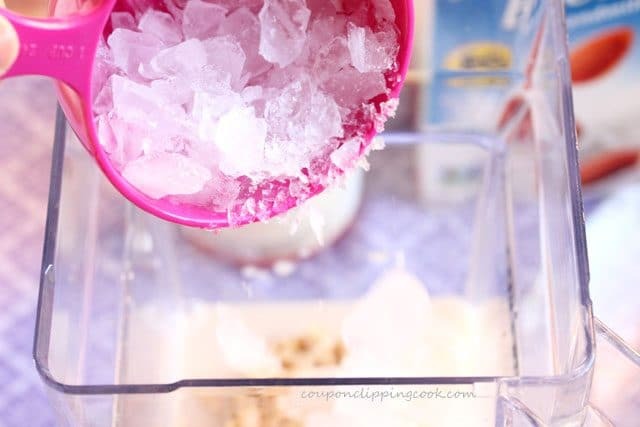 …and serve while ice cold. 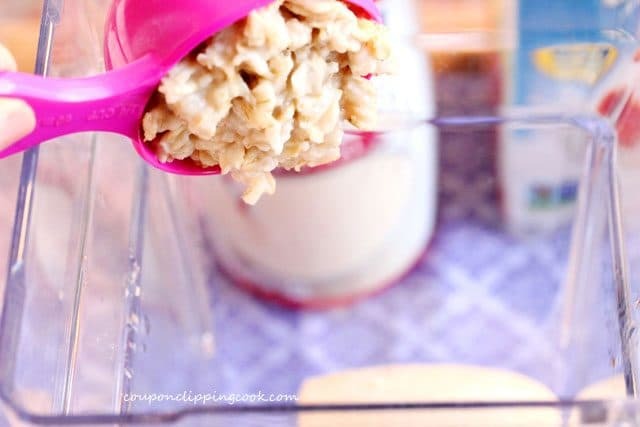 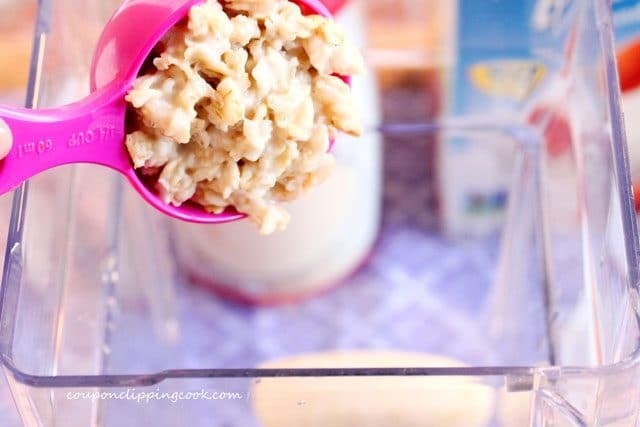 1/4 cup cooked and cooled quick oats (2 tablespoons quick oats mixed with 1/4 cup water, cooked in the microwave for about 25 seconds). 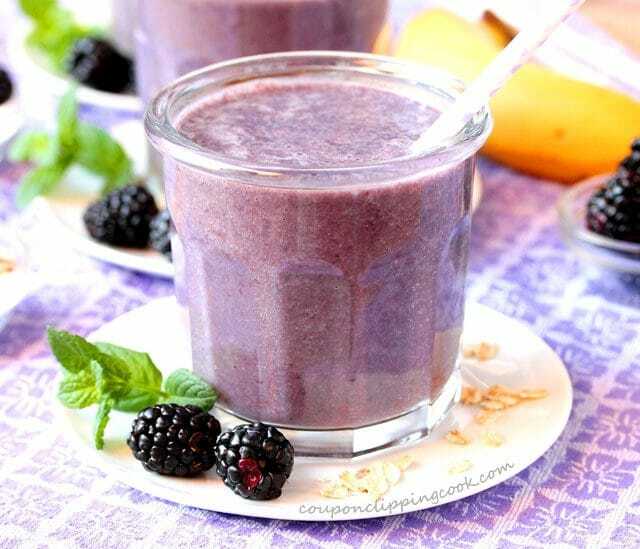 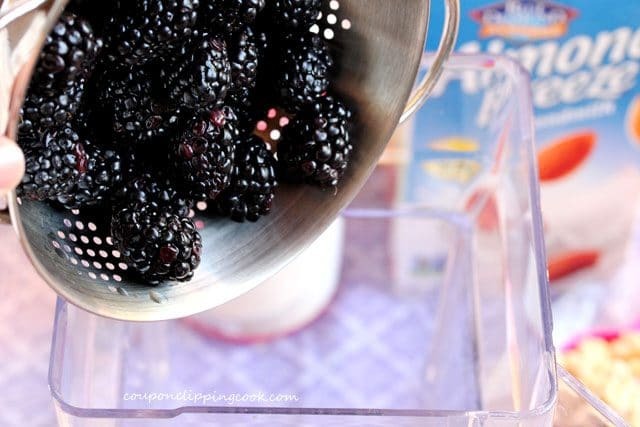 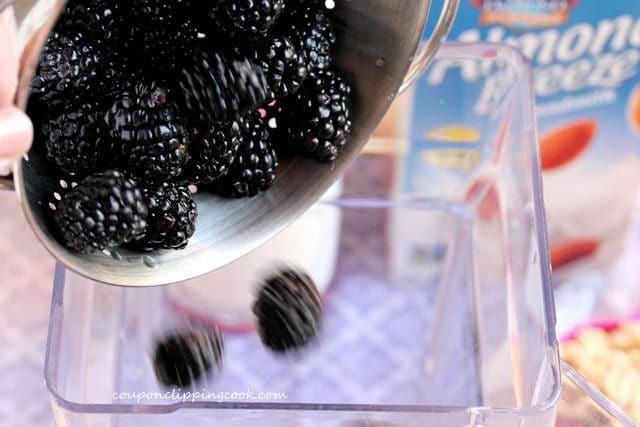 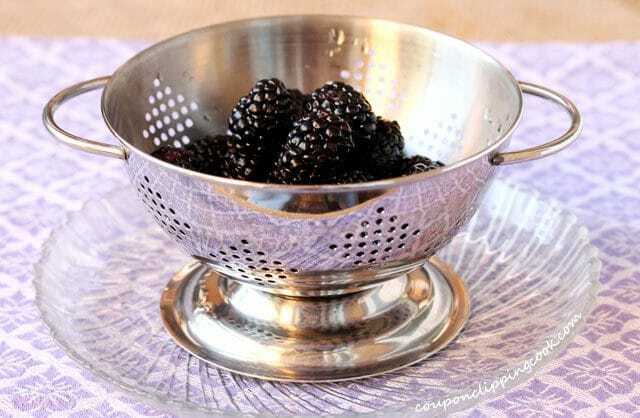 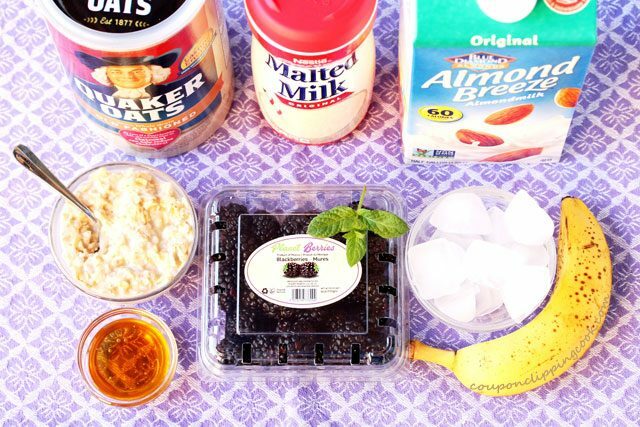 In a blender, add almond milk, malted milk, blackberries, banana, cooked oatmeal, honey, mint and ice. 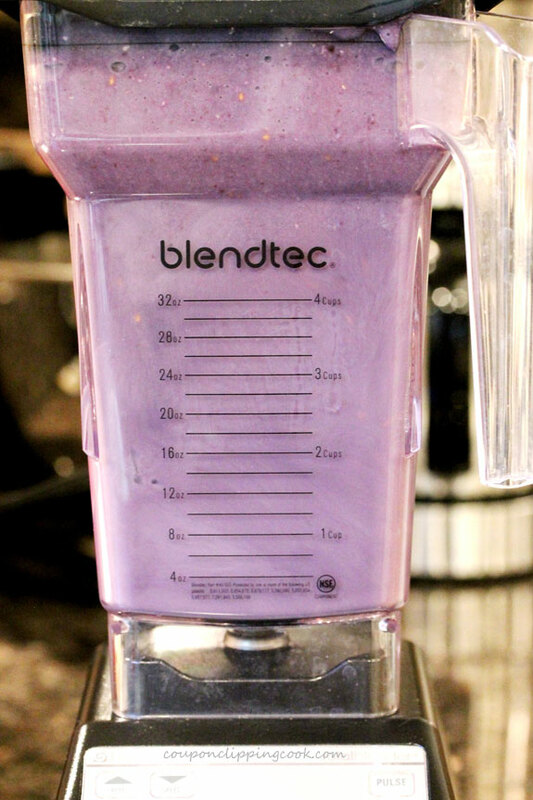 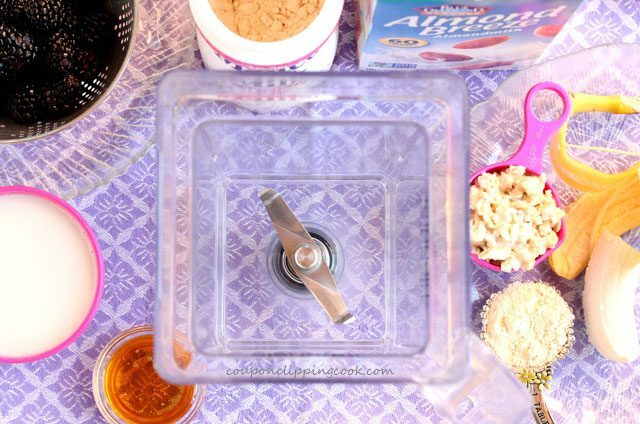 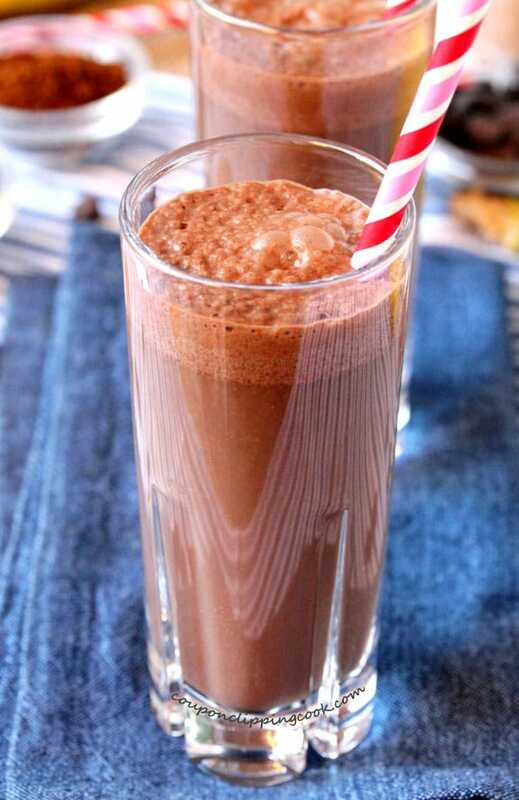 Blend on the smoothie setting and serve while ice cold.